The acting governor of the State of Rio de Janeiro, Francisco Dornelles, and the president of Sistema Fecomércio RJ, Orlando Diniz, will open next Wednesday (august the 3rd) the Espaço Rio de Janeiro (Rio de Janeiro Lounge). Dedicated to showcasing the culture, tourism and economy of the state of Rio, and stimulate sports during the Olympic Games, the Lounge is an initiative of the State Government, sponsored by Fecomércio RJ System. From august 4, the space will be open to the public who will be able to experience several equipments that reveal the natural vocation of Rio de Janeiro for sports. 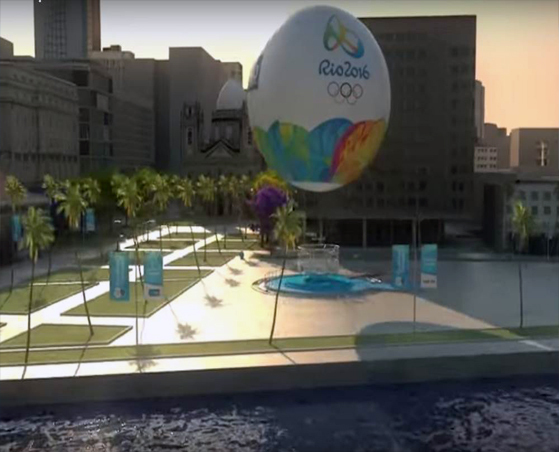 Modern simulators will make the visitors feel like an athlete by, for example, paddling in the waters of the Rodrigo de Freitas lagoon, climbing the Gávea rock mountain, playing a beach volleyball match at Copacabana or running at the speed of an olympic champion. The event will also help to connect investors, entrepreneurs, executives and development agencies. There will be over 20 events on strategic sectors for the state who will gather about 3,500 entrepreneurs, investors and authorities around the world. Between August 4 and 21, from 10 am to 7 pm, the Espaço Rio de Janeiro (Rio de Janeiro Lounge) will also offer a press room with free wi-fi internet available. Location: Avenue Rodrigues Alves 330/331 – Olympic Boulevard – in front of Warehouse 6. Tips on how to get there at www.espacorj.rio. Attention: the press should arrive to the place with a half-hour in advance to be carried out an accreditation for entering the event.